In 2011, when Saif joined the PITB, smartphone penetration was growing fast, and the networks were growing as well. With their own batteries and wireless connections, phones solved one of the bigger problems that PCs faced. But more than that, Saif says that the phones also come with "social value." "You can call friends and family, watch a film, or play games on the phone," says Saif. "They're intuitive, and everyone wants to use one, so they won't get handed off to an assistant. 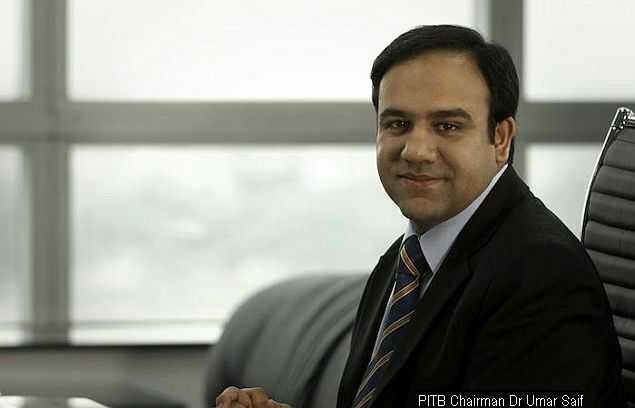 So with the hardware taken care of, we [the PITB] could focus our efforts on developing smartphone applications for automating government work." 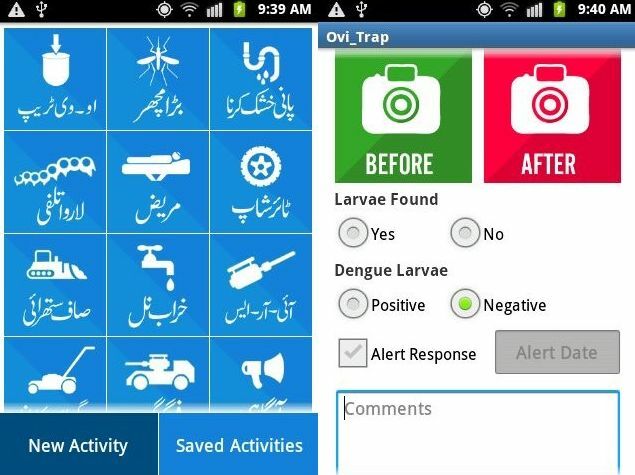 The PITB team would go on to develop an automated platform with which they could crank out simple, template-based apps for government departments in minutes, based on the queries that each department needed to track, but the first stage - after convincing an extremely sceptical bureaucracy - was making the dengue tracking app. The app needed to be able to track the location of each report, save pictures both before and after interventions to measure their effectiveness, and also share this information to a centralised database. This helped the team in locating the epicentre of the disease, and tracking the aedes larva. To do this, the PITB equipped the field workers to track the containment activities, so that all incidents, larvae, and control activities could be viewed on a map to track trends and developments. "We bought 1,500 smartphones and giving them out to different government departments," says Saif. "So everything you [the workers] do, go to a house, or do some fog spray, or use the chemicals to kill the larva in a pond of water, or you clear a puddle of water, or shred some tyres, or you are putting some fish in a pond, which will eat the larva, any such activity; [the workers] take a before and after photo, which geotags the activity, and time stamps it. We have entomologists who go around looking for the larva, and they geotag their findings as well. We use this as a predictive tool to figure out where the patients will come from. We also geotag the houses of the confirmed patients; the system carries out statistical analysis, and raises alerts and highlights that on the map and automatically messages the district staff as well." This also solved one of the big issues that had been facing the different departments - staff accountability. Since all the work is being geotagged and time stamped, if there is any lacuna, it is possible now to zero in on the exact area and time where photos needed to be checked. Accountability was in fact the biggest selling point to many of the heads of departments, to get better insights into the work their staffers were doing, according to Saif. The project was a success - dengue is no longer at epidemic status in Punjab - and with World Bank funding, the core idea has been rolled out to multiple functions of the government. Agricultural expansion is now being tracked and verified, drug inspectors are uploading data on all the pharmacies they check, while the police in Lahore geotag all crime scenes to analyse patterns in crime. "Often there are external factors which would affect the incidence of crime in an area," says Saif. "The map visualisation makes it possible to understand the problem and take preventative measures. For this reason, each station has two smartphones now." If you think about it, that's not actually so different from most location-based social networks that exist right now, and once the PITB got the green light, it did not take them long to get prototypes running. Saif credits Burhan Rasool, a member of the PITB, with having done most of the actual coding required. 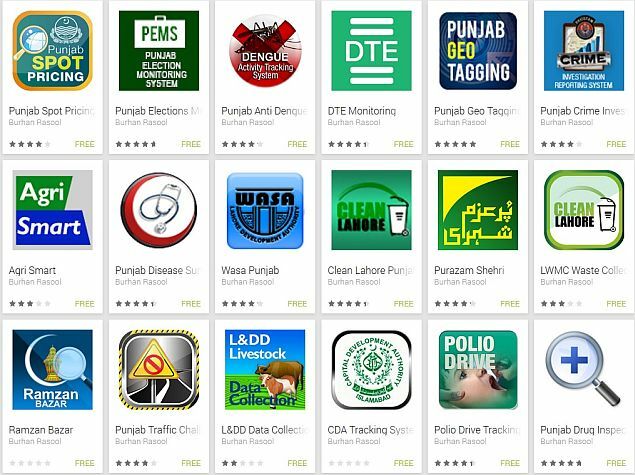 Since then, Rasool has created several more applications for the PITB - 26 in total - which are being used in different spheres of the government. Aside from smartphone applications, the PITB has also taken a page from the work being done in India, and is trying to move Punjab away from a stamp paper regime, by digitising land records. Along with this, the board is also rolling out educational campaigns on the phone, and SMS outreach programs, similar to the work being done in parts of India. Three years ago though, all this was still pretty far off, and Saif had an uphill task of convincing people that the project would bring about the desired results. "Convincing the district officers, then 17 government departments, was a challenge," says Saif. "Two and a half years down the line people have come to see the value and it has become easier, but it was definitely an uphill struggle at first. The Chief Minister's [Shahbaz Sharif] support was critical - like your Prime Minister [Narendra Modi], he is a great believer in technology, and without his backing the project would not have been possible." Today, with the digitisation work, the PITB is grappling with problems that state governments here are already familiar with. The local officials who handled the land records on both sides of the border had grown accustomed to a lot of power, as sole custodians of these documents. These issues have already been highlighted by people in India, and these are the same problems that Saif is facing now. "We make the data public, that makes it harder to be inefficient, and will cut out commissions and bribes, and so there can emerge an adversarial relationship," says Saif. Along the way, Saif has learned a useful lesson, which he believes is important for people here to know as well. "When you talk to IT people," he says, "we often see the ideal solution. And the behaviour of people at the ground level does not always get factored into our thinking." Instead, Saif believes, technology should be used as a measurement tool. "Identifying the bottlenecks - are people doing their jobs properly - this is the real way in which to drive progress. Use technology to drive decisions, instead of replacing the existing processes."